If you are someone who is committed, willing to make sacrifices and work hard in order to achieve goals you only dreamed of, want to have some serious fun and gain meaningful experiences along the way, and desire to be a valuable, contributing member of a team of athletes with exactly that goal - to give their all for you, then this is the team for you. If you are interested in learning something new, exciting, and challenging, something that will be a part of you for the rest of your life, if you are not afraid to push yourself beyond limits you didn't think possible, then this is the sport for you. If you've been looking and waiting for something to heighten your college experience, the time to get involved is now. 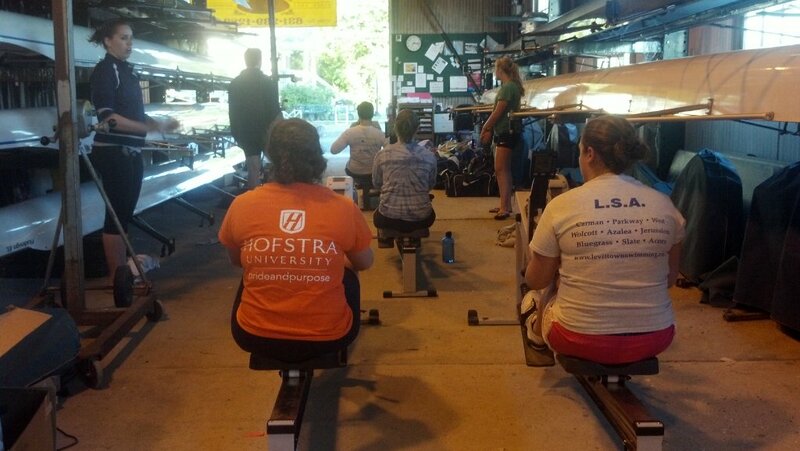 Let us show you how becoming a part of Hofstra Crew can change your life! 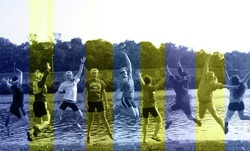 All sizes, shapes, and gender athletes are welcome; everyone has a role to contribute to HU Crew. At Hofstra, we want everyone to get a chance to experience the wonderful world of rowing, so we will accommodate any and all who can get their three alarm clocks set, drag themselves out of bed before the sun rises, and join us for practices three morning a week where we promise to make sure you have the chance to accomplish something for the day. As of this fall, Graduates are now allowed to be a part of our team! Come check us out! Fall season is Head Racing season in the sport of rowing. 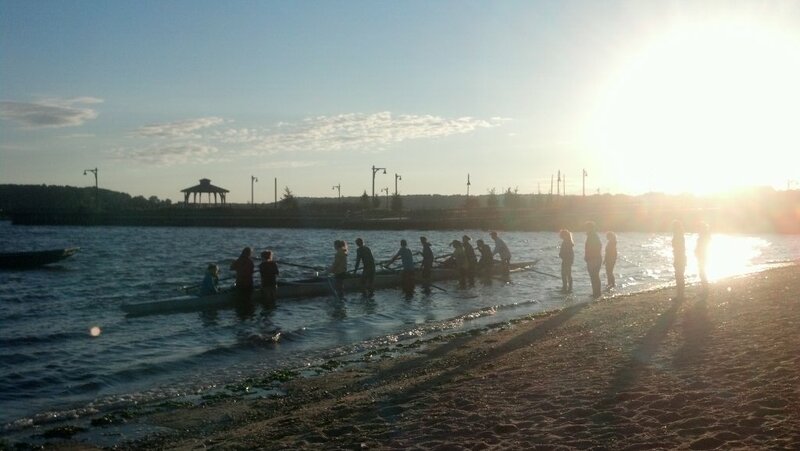 At this time, rowers work on their conditioning and remind themselves what it's like to be in a boat. While the varsity rowers are dusting off the cobwebs, regaining their finesse and endurance on the water, novices (first time rowers who are new to Hofstra Crew), are learning about the sport. We set a two-week trial period for novices to get adjusted to making crew a part of your lives. There are no cuts on this team, and experience is absolutely not necessary, but as the ultimate team sport, each of you will come to realize how much you rely on one another to be there without fail everyday, and those who cannot make the commitment will make that decision themselves. By the end of two weeks, you will certainly have learned how to imitate the rowing stroke on ergometers (rowing machines) and will have gotten in enough water time to get you hooked on rowing. What follows is a whirlwind of rowing and racing events that will give you an unforgettable Fall semester. Our work is never done. As fall racing season wraps up and the seasons change, we simply head indoors where we begin winter training. It is during the winter season where you will begin to see real changes in yourselves and your teammates. You will be pushing the limits of what you think you can do to increase your power and strength. Land Training consists of a variety of aerobic and weight workouts as well as a good deal of time spent on the ergs. Spring season is Sprint Racing time in the crew world. This is the most competitive, challenging, and exciting type of rowing, and those who make it this far are getting to the brink of what this sport is all about. Instead of racing against the clock down a winding river, you are lined up between two rival crews in a row of up to six across. You wait, poised for action until you hear the command, and then you drive your legs down to begin the most intense 8 minutes of your rowing career, all in an effort to cross the line first. The greatest thing about it is you don't have to do it alone. Your teammates are there in the boat with you, and they are on land near the finish line cheering the loudest, so you know you're almost done. Medal or not, the goal is to have no regrets- to leave everything on the water knowing you surpassed your best and looking forward to doing the same thing over again next week. When it's all over, it will seem like just yesterday you were learning how to carry a boat, yet you will have grown and learned so much over the course of your novice year, that you will be excited to rise to varsity status at the start of next year's Fall Season. New Recruits Learning About Rowing! Fall 2012. Teaching The Novice How To Erg. Fall 2012.